In April 2015, Medicare's sustainable growth rate (SGR) formula for controlling physician payment was permanently repealed and replaced with a far-reaching package of reforms.1 The repeal, approved by Congress with strong bipartisan support in both the House of Representatives and the Senate and long awaited by many physicians, annulled a budget cap that was enacted in 1997. The legislation averted a reduction in Medicare’s payment rate for physician and other health professional services of 21.2% that would otherwise have taken effect on April 1, 2015. The repeal of the SGR means that the temporary measures to override the growth rate formula will no longer dominate Medicare policy discussions, as they have for the last decade. The replacement of the SGR should also accelerate the movement away from unconstrained fee-for-service payments and toward continued payment reforms. Many physicians, no doubt, would prefer regular payment updates, not updates based on complex measures of quality and value. The momentum in Washington for continued payment reforms, however, is strong. The repeal of the SGR is the carrot; the far-reaching payment reforms that the legislation facilitates are the stick. The Medicare Access and CHIP Reauthorization Act of 2015 (HR 2) provides physicians and other health care professionals with stable fee updates for 5 years (current levels through June 2015, an update of 0.5% for the last 6 months of 2015, and an increase of 0.5% per year for 2016 through 2019). For 2015 to 2018, the current payment system remains unchanged. In 2019, a new incentive payment program, termed the Merit-Based Incentive Payment System, or MIPS, will replace and consolidate 3 existing incentive payment programs: the Physician Quality Reporting System, the value-based payment modifier, and the meaningful use of electronic health records. Payments to individual clinicians would be subject to adjustment depending on whether they participated in MIPS or approved alternative payment mechanisms. Alternative payment mechanisms include accountable care organizations (ACOs), medical homes, bundled-payment arrangements, and other models being evaluated by the CMS Innovation Center. Such models involve a risk of financial loss and a quality measurement component. Under the new legislation, clinicians who receive a substantial portion of their revenues from approved alternative payment mechanisms will not be subject to MIPS. Instead, they will receive a 5% bonus each year from 2019 to 2024. In 2026, the payment rules for all clinicians change again, with payment rates under the alternative payment mechanism increasing by 0.75% per year and rates for others increasing by 0.25% per year. Among other provisions, the act also fully funds the Children’s Health Insurance Program (CHIP) through September 2017 and expands the public availability of utilization and payment data for physician services. The legislation protects physicians against malpractice suits by specifying that the quality of care standards in MIPS or other guidelines or standards in Medicare or other federal health programs cannot be used in malpractice or product liability cases.6 It continues through September 2015 a delay in full enforcement of Medicare's “2-midnight” rule, announced in 2013 and the subject of ongoing disputes between hospitals and CMS. The rule assigns inpatient status and Medicare Part A coverage to all hospital stays of this length or longer, assuming medical necessity supports such a stay. Stays shorter than 2 midnights are generally considered observation and therefore not covered by Medicare Part A. Over the 2015-2025 period, the CMS Office of the Actuary estimates that the net costs of the legislation to the federal government would be $102.8 billion.3 The Congressional Budget Office estimates that the legislation would increase federal budget deficits by $141.0 billion.7 The cost of the physician payment update and the CHIP extension are offset in part by other savings. For example, starting in 2018, premiums for Medicare Part B and Part D would increase for some high-income beneficiaries. Now that the SGR has been repealed, it is likely that policy conversation about physician payments will move on to other outstanding issues, such as the balance of payments between primary care and other services and continued delivery system reforms, including population-based payments, with no fee-for-service component.2,5 The SGR fix, however, should not be viewed as a permanent solution to the ferment over the physician payment system and uncertainties about beneficiaries' access to care. Until the details of the measures of quality and value and incentive payments become available, it is uncertain if physicians will consider them reasonable and fair. In 2025, the $500 million in annual updates for exceptional performance and the 5% annual bonus are scheduled to expire, “resulting in a payment reduction for most physicians,” as the CMS Office of the Actuary has noted.3 The momentum for payment reform and the specific payment mechanisms notwithstanding, physicians are likely to advocate for Medicare payment updates that at least keep up with inflation and the cost of living. At some point, the cumulative effect of the new payment updates will not keep up with physician costs, unless the volume and cost of services substantially decrease, which is the same underlying issue as with the old payment updates. The SGR formula lasted 18 years. Within the decade, its replacement is likely to be under scrutiny as well. Corresponding Author: Robert Steinbrook, MD, Department of Internal Medicine, Yale School of Medicine, 333 Cedar St, I-456 SHM, PO Box 208008, New Haven, CT 06520 (robert.steinbrook@yale.edu). 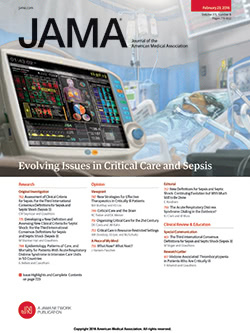 Published Online: April 17, 2015. doi:10.1001/jama.2015.4550. The Medicare Access and CHIP Reauthorization Act of 2015. HR 2. https://www.congress.gov/bill/114th-congress/house-bill/2. Accessed April 16, 2015. MEDPAC. Report to the Congress: Medicare Payment Policy. http://medpac.gov/documents/reports/march-2015-report-to-the-congress-medicare-payment-policy.pdf?sfvrsn=0. March 2015. Accessed April 12, 2015. Spitalnic P. Office of the Actuary. Centers for Medicare & Medicaid Services. Estimated financial effects of the Medicare Access and CHIP Reauthorization Act of 2015 (HR 2). http://www.cms.gov/Research-Statistics-Data-and-Systems/Research/ActuarialStudies/Downloads/2015HR2a.pdf. April 9, 2015. Accessed April 14, 2015. Pear R. House provision offers doctors more protection against malpractice suits. New York Times. March 30, 2015. http://www.nytimes.com/2015/03/31/us/politics/house-provision-offers-doctors-more-protection-against-malpractice-suits.html?_r=0. Congressional Budget Office. Cost Estimate and Supplemental Analysis for H.R. 2, the Medicare Access and CHIP Reauthorization Act of 2015. https://www.cbo.gov/sites/default/files/cbofiles/attachments/hr2.pdf. March 25, 2015. Accessed April 12, 2015. Office of the National Coordinator for Health Information Technology. Report to Congress: report on health information blocking. http://www.healthit.gov/sites/default/files/reports/info_blocking_040915.pdf. April 2015. Accessed April 12, 2015.